I’ve been head over heels for Noah Gundersen for a few years now, ever since being completely spun around and knocked to the ground by him live at a few summer festivals, and then really getting into all his recordings, old and new. His songs are a piercing blend of harmony (with his sister, no less) and wide-openness to a world that’s not always easy to be wide open in. “Lay Low is one of those songs that has a habit of finding its way into my subconscious and staying there. While driving around on tour, loading up the van after shows, during the rare quiet moments in a green room, the lyrics and the melody would rise up and start repeating over and over in my head. Here is the acoustic version at Pickathon from the original artists, the terrific duo of Shovels & Rope. It was part of my Autumn 2012 mix, and I still often put this version of it on repeat. 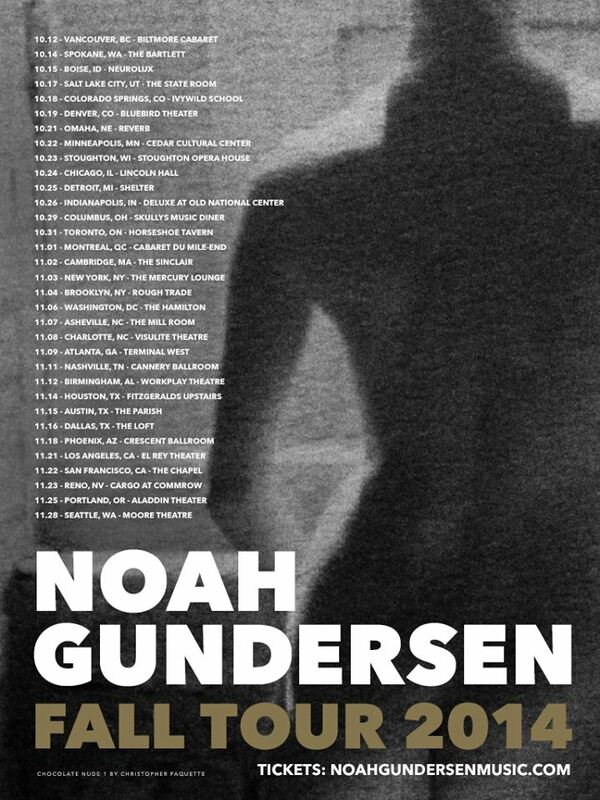 I am pretty excited to be welcoming Noah Gundersen to the Ivywild School next weekend, on Saturday October 18, as part of his fall tour in support of the magnificent Ledges. If you’re in Colorado, please come! If not, here are your other tour date options. This kid is the real deal. Tagged with covers, noah gundersen, shovels and rope. COME ON. Noah Gundersen (here with his sister/kindred spirit Abby) just continues to blow me away no matter how many times I see this song. This rendition comes via La Blogotheque folks; Colorado, Noah plays Denver on Tuesday night at the Soiled Dove. You should probably definitely be there. As I wrote with this song on my Autumn 2013 Mix: One of the finest, truest duos together, this brother and sister detonate the emotional heavy artillery, but make it so smooth that you almost don’t notice until you look down and a chunk is missing. Ledges came out earlier this month and it is exquisite. Get it. 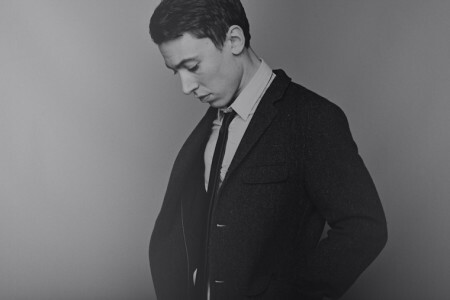 Tagged with blogotheque, noah gundersen. I’ve been thinking a lot about cynicism. I’ve been asking other writer-friends to define the word for me, so I can add to my functional understanding of its complexities and what different people perceive it to mean. I’ve asked friends earnestly if, really, shouldn’t I should try to develop some cynicism, a shell, a coating, a veneer? I’ve thought about the difference between a familiarity with the nastiness of life, a healthy respect for the damage-possibilities, and the choices we have within that maelstrom to live strong and brave and beautiful anyways. I’ve been trying to write this post since July, when I went to the Timber! Outdoor Music Festival. For the second summer festival in a row, the set from Noah Gundersen was the one that made me sit in a stunned silence on the dirty ground. Noah and his siblings and his band amaze me in everything they do. There is something foolishly generous and wholly beautiful in all of his music, and in their performance of it. That Saturday night in July, for the final set as the ground vibrated and the sweat of the day dried, the show suddenly stumbled into a clearing of something magnificent and unvarnished. 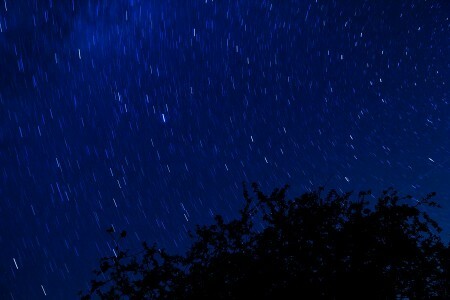 It was something so pure and strong that it almost doesn’t make sense when I try to explain it to someone else, but that dissolved me so that when it was over I couldn’t speak to anyone at all, and all I could do was head directly to my top bunk in the yurt and cinch myself all the way tight into my sleeping bag. I needed a cocoon around me, warmth to stop the shivers, like my skin had been peeled off. It happened when they launched in to this song, and specifically around 1:09. I have read that you have to be careful after rescuing a starving person not to give them too much rich food too fast because it will overwhelm their systems. 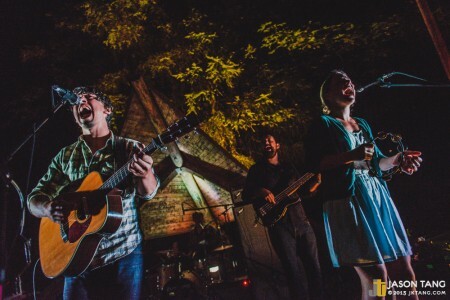 I thought of that when everything cut out during that set under the pines, as Noah and Abby together sang: “…but wait. Wait. See how the morning breaks; it’s the simplest of love songs ….but it’s all our hearts can take.” There was so much generosity there. In that moment, in unintentional defiance of cynicism, I was obliterated. Noah’s live performances always feel like the summation of things I forgot. As they sang this song, I sat there and I thought something blazingly bright and clear and frustratingly ambiguous. I found myself thinking, “Because this moment in this song exists: …________.” For four months I haven’t been able to finish articulating the second half of that equation. For you it might be another song, and for me it was this one, on that night, in a campground by a river in Washington State. It was the moon. It was the certainty of something ineffable, that I have not yet forgotten. Now that’s a statement borne out of whatever the opposite of cynicism is; hard struggle and finding your way back to the person that lives under the bruise of life hovering on the surface, maybe. It resonates with me, and so does the purity in this song. It’s the simplest of love songs, but it’s all our hearts can take. Tagged with noah gundersen, wordy musings.